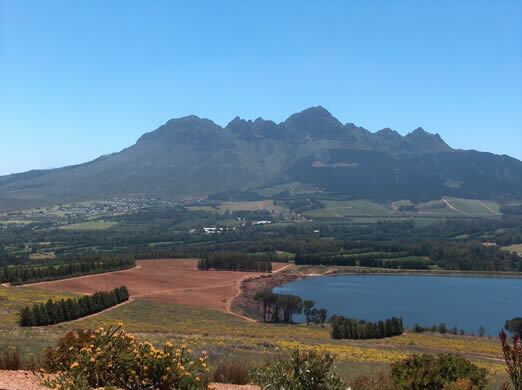 One of the flagship properties of the South African wine scene, Vergelegen is one of those estates where the amount of money invested isn’t exactly hidden from view. Far from it: Anglo American’s huge wads of wine-directed cash are clearly visible in the beautiful winery, homestead and gardens. The result is that Vergelegen is a great place to visit, with plenty to keep the whole family occupied, including a lovely restaurant. There’s a sense of integrity to all the building that has gone on here (this sounds like a line from Grand Designs). The winery, set into the top of a 276 metre high hill, is arranged in an octagonal plan, which links it to the homestead garden dating back to 1700. From the roof garden on top of the winery, there’s a 360º view of False Bay, Table Mountain, Cape Town, Helderberg and the Hottentots Holland range. It’s hard to do it justice with photographs. 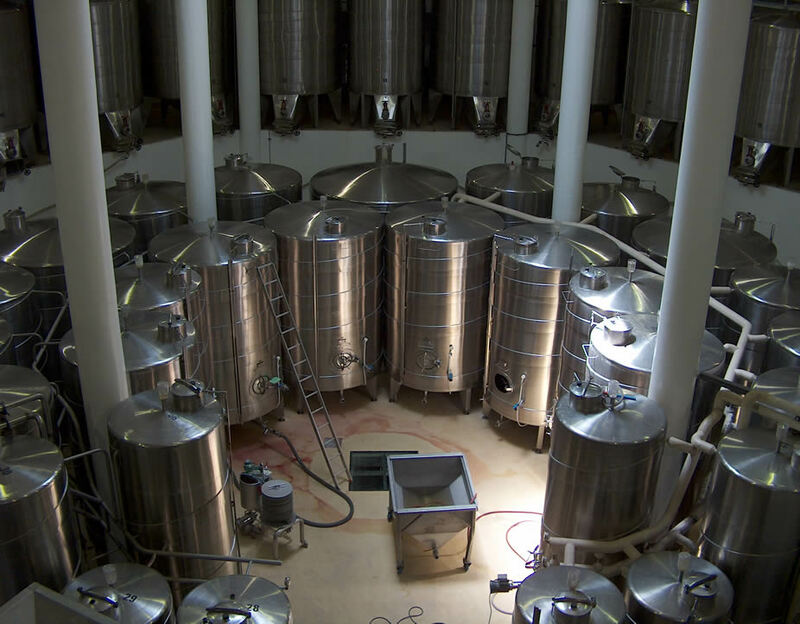 The winery has been designed to facilitate gravity flow, which is a more gentle way of moving must and wine than pumping. The fact that the winery is set into the hill also helps create an even, low temperature in the winery and barrel cellar. 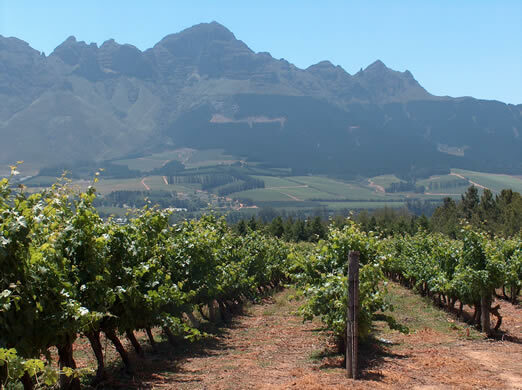 The vineyards enjoy a mild climate due to proximity to False Bay. They have a high clay content: the rocky northern slopes have excellent drainage and are suited to red varieties, while the higher, shallower soils are less fertile but well drained, and are better for early ripening varieties. But this is a property with a long history. Created by Governor Willem Adriaan van der Stel, Vergelegen was established over a six year period from 1700, before van der Stel was ousted by his political enemies and sent back to Holland. In that short period he achieved a great deal, turning a wilderness into fruit orchards, orange groves, vineyards and cattle stations. He also made reservoirs and dug irrigation canals. After his departure, Vergelegen was sold and divided into four separate farms (Vergelegen, Lourensford, Morgenster and Cloetenberg). 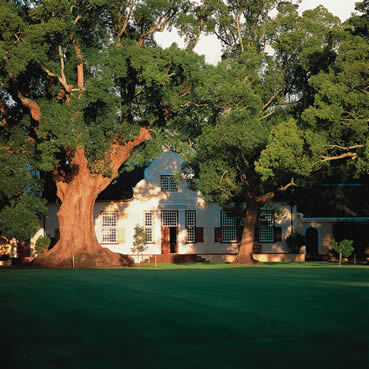 Van der Stel’s original homestead survives to this day and is guarded by five huge camphor trees that he planted (left), making them over 300 years old. Subsequent owners came and went, and in the early 20th century the vineyards were removed. In 1987 Anglo American Farms purchased the property from the then owners, the Barlows, and created the farm as it is today, with 125 hectares of orchards (pears, plums and soft citrus) and 100 hectares of vineyards. Following the comprehensive planting program, Vergelegen produced its first wine in 1992. 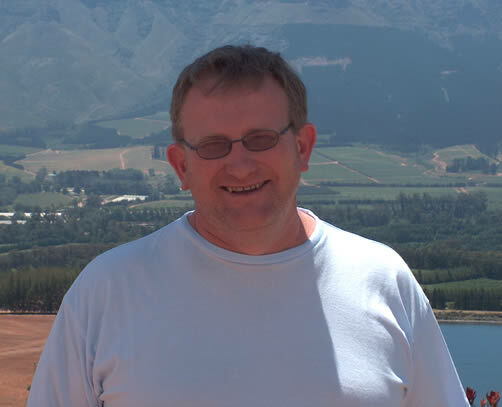 Two winemakers have held the helm: Martin Meinert (1988–1997) and the current cellarmaster, Andre van Rensburg. Van Rensburg (right) is well known for his plain speaking, as well as his great wines. Fishing for a response, I asked him about the recent scandal when winemakers were caught adulterating their Sauvignon Blancs with methoxypyrazine, the flavour compound that can contribute green, herby characters that add freshness, and are a key component of the successful New Zealand style. Like Michael Fridjon, who initially blew the whistle, Andre reckons the problem was of a bigger scale than just the two winemakers who were eventually caught. ‘The Wine and Spirits Board announced an amnesty for all the guys who had been adding flavours in 2003’, says van Rensburg. ‘Anyone who carried on doing this after the was either completely f**k-witted or didn’t give a s**t about being caught.’ He added that, ‘all wine industries go through a silly phase of things like this happening’. But let’s focus on his wines, which are pretty impressive across the board.